ESC is the UK's largest swimming club with over 1700 swimming members using 7 pools in Ealing, Hammersmith, Hounslow and Northwood. It is split into 8 'Houses' with a performance Development section, stroke development, Masters swimming, Junior Water Polo, Senior and Junior Triathlon and Disability swimming. 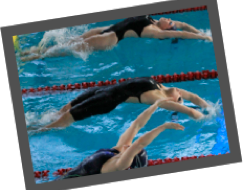 ESC provides teaching and coaching from lessons on learning to swim up to Elite performance with all the stages in between. The Club is accredited to SE Swim Mark. All teaching/coaching is by Swim England qualified staff and teaching follows the National Teaching Plan for swimming. The Club has a programme of Continuing Professional Development for their coaching staff.